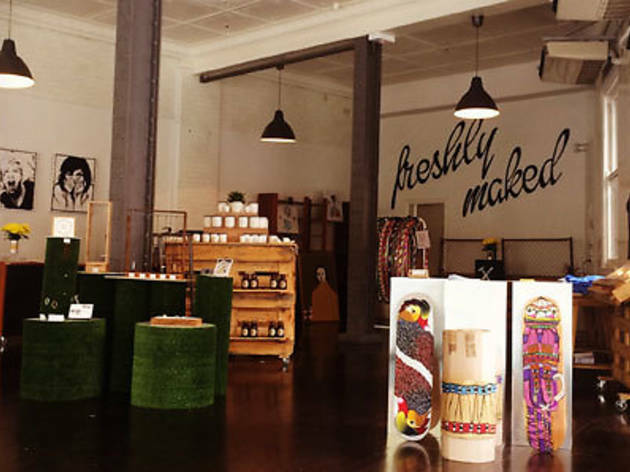 Jesse Kennedy, 26, and Griffin Blumer, 25, are the young guns behind Marrickville’s boutique gin operation, Poor Toms. The two met in high school in Canberra and then shared a house in Sydney after graduating, with Kennedy working as an investment banker and Blumer pursuing an acting career. But it was a mutual love of gin that would set them onto the craft liquor path. “We had a little two-litre still from Spain and started putting vodka and different botanicals in,” Blumer explains. “It was fun but it wasn’t that successful. We just thought: ‘Why don’t we do it on a larger scale? 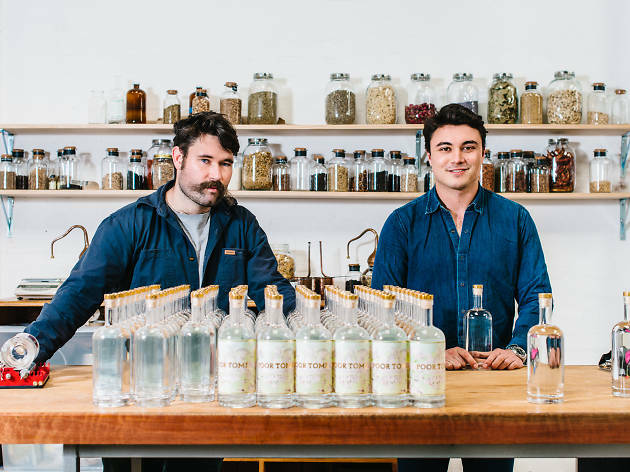 Nobody’s doing it here, we could be the guys that do it.’” So they set out to make a Sydney gin. It would be fair to call their operation low key – they work out of an unmarked warehouse with bare walls and a 200-litre German copper still and one large workbench – but that’s the feel of Poor Toms: lo-fi operation, high-quality output. The final product is a dry, wheat-based gin flavoured with strawberry gum (leaves), lemon myrtle and Granny Smith apple. “We’ve gone for a fairly subtle, fruity, fresh, floral flavour that makes it easy to drink a double – triple even,” explains Kennedy. “Dangerously easy, some would say,” adds Blumer. 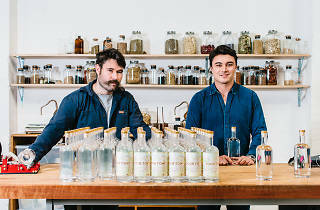 Blumer and Kennedy pooled their savings to start up the venture, but fell short of the funds to create the gin itself. As such, the first batches of Poor Toms have been entirely crowdfunded via a Pozible account. “By the time we got to the point where we had a gin we wanted to sell, we actually had to crowdfund to pay for the batch,” explains Blumer. “We only wanted to ask for a bare-bones funding. Work-Shop Makery is an initiative set up by Work-Shop founders Chester Garcia and Matt Branagan to help local artists, designers and makers exhibit and sell their creations, without the costs associated with setting up their own shop. It gives local creators the opportunity to connect with people on a grassroots level. 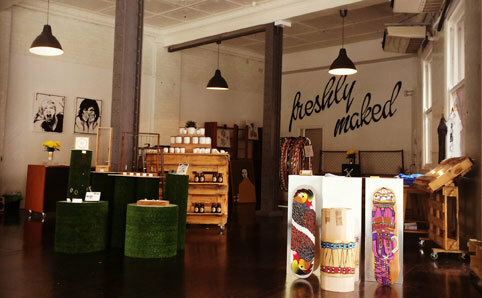 The shop also runs ‘Meet The Maker’ sessions, for shoppers to connect with the creative people behind their wares.